Neurontin® or Gabapentin is the second of the newer anti-epileptic drugs (AEDs) to come to market in the United States but the first of the newer agents to gain widespread use. It is available in tablets or capsules of various sizes and in an oral suspension. It is now generically available as well.Neurontin® was designed to look like the inhibitory neurotransmitter GABA. Interestingly, the medication does not work by directly binding to the GABA receptors in the brain. Rather, the medication appears to work by raising GABA levels by some effect on a GABA transporter protein. It also decreases the activity of voltage-gated calcium channels via binding to a secondary protein. This effect occurs in only some of the neurons dep ending on additional cofactors being present (mechanism not clearly understood). It is therefore possible that this medication in some way targets abnormally acting neurons and not the normal neurons. As an anti-epileptic, the medication is effective only for partial-onset seizures. The medication has gained widespread use because of its tremendous safety profile and relative lack of significant serious side effects. Dr. Loftus knows of no reports of liver, bone marrow, or other major side effects associated with this medication. 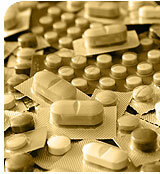 One aspect enhancing its safety is the human body's limited ability to absorb the medication. At doses above 4800 mg or so, many patients stop absorbing the additional dose. Even without this feature the medication is very safe. Neurontin also lacks any known drug interactions with other AEDs making the medication very easy to use. Guidelines by the American Academy of Neurology support its use for new onset partial seizures and its use as add-on therapy in children and adults.The medication does not affect the efficacy of birth control pills. However, its safety in pregnancy has not been established. There are a few negatives aspects of this medication. The only limiting side effect is drowsiness and a problem with balance at higher doses. The medication requires dosing three times a day for seizure control and studies have shown that many patients may have difficulty being compliant with multiple doses per day. Also, there is some weight gain associated with this medication although not nearly as dramatic or as persistent as with some of the other widely used medications for the same indications. Neurontin® is widely used to treat neuropathic pain. It is FDA approved for post-herpetic neuralgia. There have been two distinct double-blinded placebo-controlled studies that have demonstrated its effectiveness in post-herpetic neuralgia however the studies were not designed to determine the minimum or usual effective dose of the medication. In Dr. Loftus’ experience, many patients respond fully to 900-1200 mg/day. One study suggested that doses at least up to 1800 mg/day should be attempted before determining the medication was not going to be effective. Doses would be predicted to be smaller in certain populations such as those that have abnormal kidneys and the elderly. About 50% of patients will experience excellent relief with this medication. Neurontin® is also very effective in treating other forms of neuropathic pain including trigeminal neuralgia, diabetic polyneuropathy, and neuropathic pain of unknown cause.Neurontin® has been demonstrated to reduce the symptoms from periodic leg movements during sleep (PLMS) also known as restless leg syndrome but dosing up to 2400 mg per day may be required. Neurontin® is widely used in the prevention of migraine. The mechanism by which Neurontin® exhibits its anti-migraine effect is not known. Only relatively small studies have been published with this medication in a placebo-controlled manner but it appears to be quite effective.Neurontin® has been shown in at least one double blinded placebo study to reduce headaches days in patients with chronic daily headache. The effect was relatively small (about 3 days per month) but interesting the headaches also tended to last fewer hours as well.Neurontin® may be useful in the prevention of cluster headaches. Placebo controlled data is lacking but small open label studies suggests it is useful.Neurontin® is also used by psychiatrists.